Author is just confused on which is the real MC. But so far, after 800+ chapters, I believe Chu Chaoyun is the real MC. By doing so, it would lessen your annoyance towards this novel. But 1 star is still appropriate. Avoid, unless you have nothing else to read. I couldn't read this as serious as I do others. There's girls everywhere being introduced left and right that tells you the author is either proposing a possible female heroine or a harem that includes his own female-sword. Even his little pet fox is a female iirc. No rival yet but already a bunch of love interests and forcible mysteries introduced. mysterious first elder, mysterious family behind female merchant... typical. The MC literally 'knows' how to do anything but requires time and effort to progress anywhere. Only one chapter in and he's already picking a fight after crossing. This includes all minor world professions, he knows how to do it all: alchemy, refining, etc. All from that bootleg set he bought on earth. As always, everything he makes > everyone else. Chapters are somewhat short making them a quick read but contains very little progress at one point and then zooming past to get off that idea. Don't expect much world building as I have seen minimal. It gets really boring as majority of it is reading someone scheming or the MC flicking a middle finger to them in the process.. Typical martial-spirit based system, refer to PMG and others. These techniques are also broken into many grades as well - refer to King of Gods. of which the MC learns a high ranking one that only his dragon-martial spirit can use, putting him above everyone already. Not much explanations for cultivation levels but expect the author throwing terms and explanations in for things the MC finds or to drive word count when needed. The whole thing is forgettable imho. Yes, the MC progresses fast as long as he has the resources, already seeing the whole leapfrogging enemies and baffling those that died who saw him as a waste. Some random clan with 1st grade blacksmiths have the 'Clear Sky Hammer', sound familiar? , which adds to the fun. Lol. Here are a few examples. Enjoy! * They enter a random realm to fight with demons and the age restriction is 24 years but some random dude's age is 26... this isn't very important but wait there's more. Lol. * The MC enters a sect using a fake name and the next second people start calling him using his real name. Lol. And to add icing to the cake, he himself and even the narrator/author use the two names interchangeably giving you the illusion that there are two people. * The mc's martial spirit is mentioned to be a wood type at the beginning.... He needs to choose between a powerful, badass wood type technique and a currently-not-so-powerful, incomplete move riddled with plot armour and guess what he chooses? Ofc it's the plot armoured one, his reason? It's because his martial spirit suddenly isn't a wood type anymore. I mean, WHAT THE ACTUAL F**k!? * There's more but my brain doesn't want me to remember them anymore. 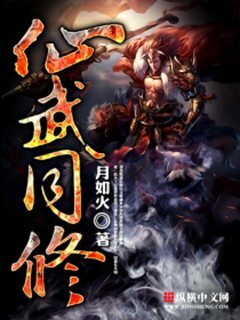 Novel starts out OK, only because it sets up a xianxia/xuanhua fantasy setting, but gets boring extremely quick and the boredom content is god-tier. Percentage-wise, this novel is 90% splice-of-life, 5% action, and 5% adventure/mystery. You can go on for chapters with filler material the funny thing is that the author hasn't even gotten the readers attention before he/she goes full-filler chapters! Maybe younger readers with a longer attention-span might find reading this novel OK but that's only because they haven't seen the good stuff yet. but after chapter 60 it turn to the point I need to drop it since no point reading it since it is to predictable, then for some odd reason we have a long wasted chapter of battle of a minor character who came out of no where. Even the battle of a Very strong boss and some Mysterious Person was not that long but I was disappointed how a nobody from a certain something is wasting... more>> chapter just to make the battle OP when all reader or at least majority knows what that person ending will be. Such thing is beyond me, what I hated the most next to filler is reading wasted chapters just to beautify a minor enemy who is bound to die and has no important rule. Another part is MC's relationship to his surrounding, I have no idea what the author is thinking why with the this and that to female if they are just forgotten later. What is this ignore character play? It is hard to judge if the character is a minor one or a supporting one or so on. Even a certain Character that I thought would guide MC was just brought down so fast and I was like WTH!? what's the point of there meeting? all those chapter I just read went down to nothing? the characters was technically forgotten? Even the clan was one dimensional. Mysterious people at the background? B*tch please author just give them way to LITTLE line and here I read so many chapters for a minor enemy to hell with this novel! I'll preface this by saying I plan to let this novel sit for a while and then read in batches when I'm out of better novels. This novel feels a bit disjointed throughout. I'm pretty sure the only reason cultivation realms exist is so that the MC can seem cooler for skipping them. The MC is also incredibly bipolar and forgetful. He'll be ready to kill someone for chapters and then when he gets the opportunity he'll just let them be. Or he'll act completely normal before murdering someone in the... more>> face and then be surprised when people get mad at him for it. I think this may actually be the most unassumingly arrogant MC in any novel I've read. He doesn't really look down on people with words like a lot of trashy MCs, he just plainly considers himself better and never really sees anyone as his equal even if they're more powerful than he is. But, hey, if a fight ever starts with one of them some kind of plot armor will pop out to protect him. And if he ever gets hurt, don't worry, it only happened so that he can come back better, faster and stronger. Standard Wuxia/Xianxia/Xuanxia. So far, if you've read anything from Wuxia world, you see this story coming miles away. I don't know what sets this as different. The title is Immortal/Martial Dual cultivation, but so far we've seen nothing to differentiate the MC's cultivation from anything else. I mean, honestly?! His book he bought on earth (a world without cultivators as far as he knew) which tells him how to do alchemy and other crafts better than the greatest experts in their fields, and a cultivation technique which is of course more op than anything his clan has. He also has a 'martial spirit' of a blue dragon which is supposed to be super duper powerful and rare in his clan. He's doing too much op things yet I've dosed off reading the descriptions more times than I care to count. Pretty much with most Xianxia's you want to give it to chapter 100, because by then the first 'welcome to the world' story arc is completed and the plot goes into a completely different direction. I don't get it, why are there so many 1 star Reviews? But the Charakters (MC and side-) are pretty good, the story is progressing steady (even that annoying world-travel-thing was teased to be... more>> part oft he plot) and the cultivation doesn’t go really overbord, and that lower level fighters kill those whith higher level is not uncommon. It also isn’t a Harem, although there are a lot of interested woman, there is only one he loves. There is some plotarmor, but no major loopholes until now. Well, I blitzed through to chapter 125. And the first thing I can say is... the MC of this novel is an idiot. A bloodthirsty idiot, who has no common sense or even a shred of wit. As far as stupid MCs go, this guy certainly is up there. What saves this novel from a total waste of my time, though, was its relatively fast pacing. Sure,... more>> there are moments where a scene does drag on, or the useless banter commonly seen in Chinese novels unnecessarily eats up page space, but they are mercifully short and far in-between. The main story does move at a brisk enough pace and that helped to sustain my interest in the novel. There's a lot of action in the novel and it's pretty entertaining. But the thing that puts me off is the MC is like a midget that constantly picks fights with Mike Tyson like characters. The napoleon complex in this novel is strong, for his dignity cannot be blemished! There will be plenty of wtf moments in the novel because of this. So, what I will give this novel as a very solid kudos, would be its balancing. Our protagonist Xiao Chen aka Ye Chen aka Purple lightning demon aka Dense-as-f**k aka Closet Pervert, is op but not to the point of being untouchable. He is not solely getting loot from the sky like other protags. He does get a lot of items but for the most part he has to earn them he isn't just getting an apple pie from nowhere all the time. People in his age group are outclassed not... more>> because he is spamming cheats, its more to do with there mindset. He was forced into a route of tempering his physical body for 15 years while everyone was training essence and leaving him in there dust. He catches up but isn't just blowing past them and going toe to toe with senior gen. He isn't the only that dual cultivates either. Other characters have done it as well. This author does a great job of balancing out the fights. They aren't a one sided massacre, they are actually well written and methodically thought out. Similar to a manga/anime series, whose fight sequences I adore, HunterXHunter. A lot of commentors in the comment section are complaining about early in the story where there are some issues. That said most of those issues are taken care of as the novel continues and are even plot points of later issues. This is the kind of novel that you really need to spend some time and give it a chance as it changes a lot. I love the novel and I'm glad to give it a good rating. The novel at first is kinda eh, it seems like the MC is super op with his martial spirit. However as the novel progresses other events happen and he barely uses it (until late into the novel, its a good reveal too). The MC focuses mainly on his saber dao which I found myself liking since many MCs use other weapons such as swords. There is romance in it which is done well, the MC is very cold in general, however he opened his heart up eventually to the one... more>> he loves.